Alright ladies, I'm not sure how you started calling your triceps batwings, but here's 5 Super Effective Exercises to combat the problems with saggy underarm fat that you dislike. These are a great exercise for helping build tricep, chest and shoulder strength. As stated in the video start with an angle that you can efficiently get at least 8-10 good solid reps in and then work your way up from there. When the exercise gets easy, make sure you adjust that angle to make it more difficult. Pro Tip: Also remember, you need to pull those shoulder blades back and down to press correctly. And keep those elbows tucked in fairly close to your ribs to engage those triceps fully. These are a tough exercise for most ladies. If you're not super strong yet, go ahead and place those feet on the floor versus a box and work up to elevating your feet more. Eventually these should get pretty easy and really get a good burn out of those triceps. Again these are more of strength building exercise that will help you build up some muscle in the back of those arms and get that tone and shape you desire. Pro Tip: Be mindful of how you set up your shoulders. You still want to pull those shoulder back and make sure you're bringing your hips down underneath you and not over to avoid using the shoulders and traps to try and perform this exercise. Exercise #3...Dumbbell Skullcrushers (Lying Tricep Extensions). This is more of a isolation exercise for the triceps that really places a nice stretch on those muscles and keeps the tricep active throughout the range of motion. Start with a weight you can control, because you will be a bit wobbly on these when you first start out. Even if it feels light at first give it until the 10th rep before you decide it's too light. These can creep up quickly on you. Pro Tip: For even better results keep your elbows a bit over your face so you can achieve a greater stretch at the bottom of the movement and keep the tension on the triceps at the top for extra burn! Exercise #4...The Kettlebell Pullover & Extension. A custom exercise that uses a combination of a pullover with a kettlebell for added control and stretch of the lats and triceps that adds a super effective extension at the top of the movement. Guaranteed success with this exercise if performed correctly with a slow extension and a quick return with a squeeze at the top. Pro Tip: You can really get this movement going with the addition of a light resistance band tied to a rack or post that can extenuate the squeeze of the movement at the top. Exercise #5...The Band Tricep Pressdown. 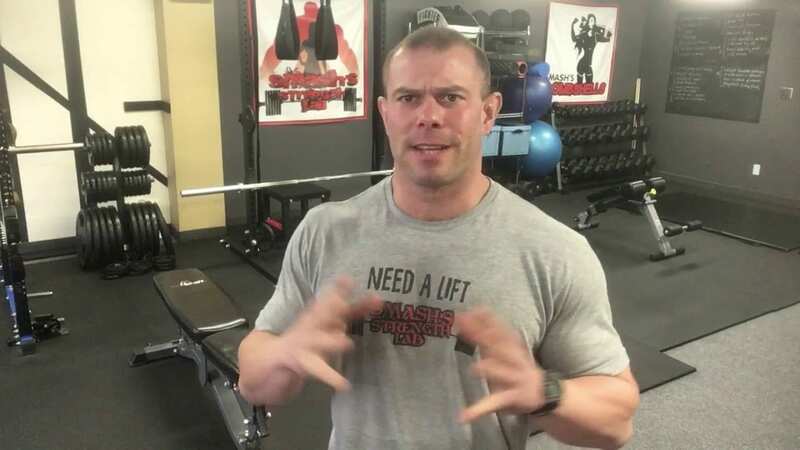 This motion is a classic tricep builder, although with the addition of a band you can really achieve a lot of repetitions since the band tension increases as you press down into the motion, causing the triceps to have to really work super hard at that end range of motion. Use this motion as a finisher for your triceps to really get a good burn and totally fatigue those triceps, forcing them to get stronger and tighter. Combine all of these exercises into one workout or a combination of workouts throughout your week. Suggest using the first two exercises as strength builders and going for repetitions of 3-4 sets of 10-12 to start off to build up strength. Then use the latter exercises as shaping muscle builders with 3-4 sets of 12-20 and even as high as 50 reps for the lighter band exercises. Combine with a healthy diet, rich in protein, essential fats, minimal carbs and plenty of veggies with some additional cardio and watch those saggy arms turn into masterful sculptured pieces of art.